Holy crap, have we got an episode for you! 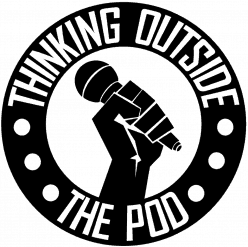 Not only is it the first time totpod has ventured out into the world, abandoning the foam-walled safety of the recording room, we also took a chance and interacted with other people. For this historic and possibly life-changing episode, Patrick and Jimmy traveled to the far-away land known as Southtown San Antonio, to a amazing little place called The Friendly Spot, in order to conduct our very first interview with the band Guild. Richard Evans (Vocals), Frankie Olmedo (Guitar), and Kristopher Robin (Drums) recounted the formation and evolution of the band, as well as some amusing stories from the road – Plus they stuck around to discuss their opinions on some topics like Game Of Thrones, ridesharing apps like Uber/Lyft, dating apps like Tinder, and much more. Guild’s second album Pages Torn From My Robot Manifesto is due out in June – So check back here or check out the band’s social media pages for updates. Support your local music.